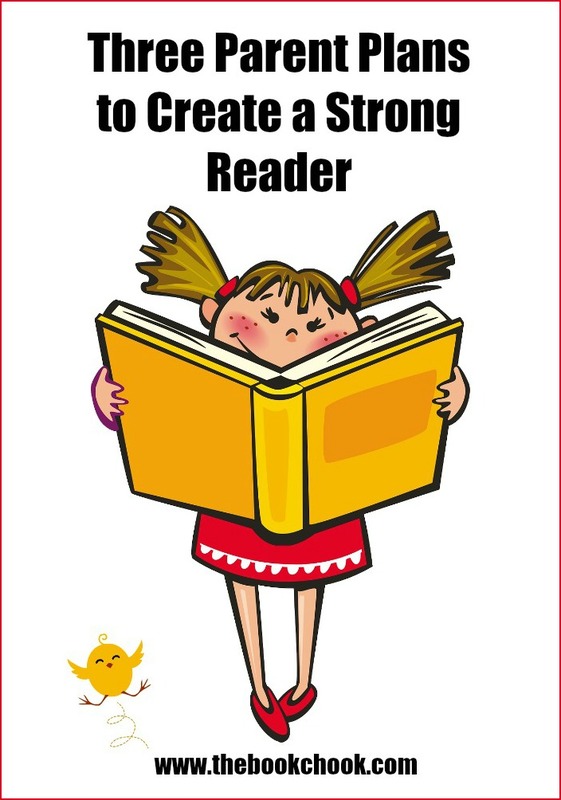 As parents, we all wish our kids would become strong readers. Wishing is fine, but did you know there are three strategies you can adopt as a parent that will HELP your kids grow into strong independent readers? 1. Read to your kids each day from when they are babies. It doesn’t need to be a long time. As little as ten minutes a day adds up over the weeks and months. Increase the time as kids develop the ability to listen and become absorbed with stories. Choose a time that suits you best and don’t be afraid to experiment. Some families read each night before sleep time for their little ones. Other people like meal times or even bath times. Lots of parents I know change it up - they listen to an audio book in the car, have a story before bed, or read aloud when kids get home from school while they eat a snack. I like to call this special time set aside for reading: “read o’clock”. If kids choose a story you’ve had before, that’s great, because repetition helps children internalise language and become familiar with text. Rhyming, rhythmic picture books are often easier for children to memorise, and this in turn helps them along the road to reading. I like to hold the book where kids can see as I read aloud, and I love it when they join in a familiar tale. It’s also an excellent idea to make sure our kids notice a range of materials in print - signs, names, labels, magazines, newspapers, catalogues all count as something we can discuss with our kids. Asking questions like “How do you think the little mouse felt then?” help kids think about stories, and develop empathy for others. Comments like “Oh, look, there’s an L, that’s the first letter in your name.” encourage kids to become aware of print. 3. Make sure your kids see you reading too. Sometimes as parents we can forget that we are the most powerful role models in our children’s lives. When children notice mum and dad reading the newspaper, a recipe, a bus timetable, or a book, they are absorbing the fact that reading is useful and pleasurable. By pointing out others who are reading or doing reading associated activities like using the library, we are also helping promote a positive attitude towards reading in our youngsters. I believe it’s becoming increasingly important for our kids to see us turn off digital devices too. What sort of message are we sending to our kids when we listen to them with one eye on a screen? How can we expect our children to become strong readers if they only see grown-ups engaging or semi-engaging with phones and TV and laptops? Once these three strategies become daily habits and attitudes in your family, I truly believe not just your children will benefit but you too! If you'd like to browse more articles about reading, click on the Reading button in my right sidebar, or check out Let's Hear it for Reading Aloud!, A List of Book-related Special Days for Kids and Let's Hear it for Picture Books!